The Chinese phone maker throws its hat into the drone game. We knew it was coming, so it's not a total surprise. 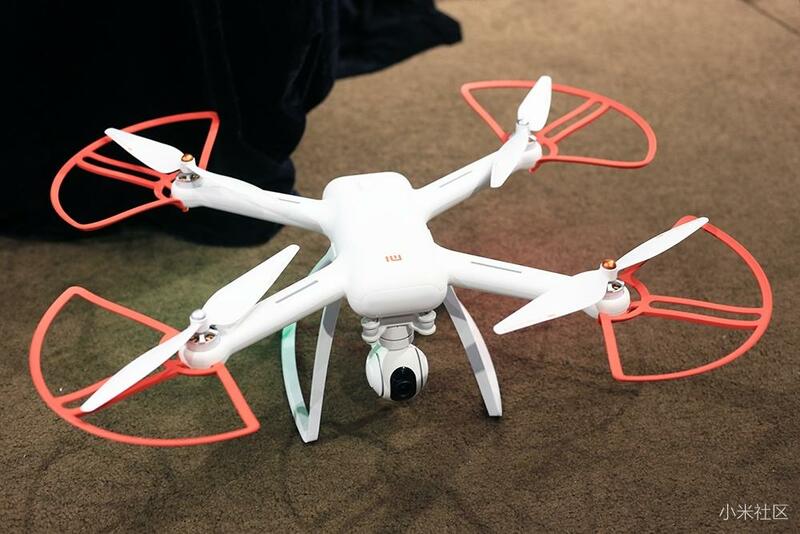 But, the very fact that Xiaomi -- best known for its phones -- is getting into the drone business is a bit of an eyebrow raiser. Today, the company revealed the Mi Drone, a 4K camera-wielding quadcopter that looks more than a little like DJI's Phantom series. The two Chinese firms are now technically rivals, of course, as more and more companies decide they want a slice of the (apparently booming) quadcopter business. No one was expecting Xiaomi to reinvent the wheel, but there was a good chance it'd be competitive on price: 2,999 yuan (about $460), which is considerably cheaper than even DJI's $799 Phantom 3 4K. "We want everyone to be able to afford good products. That was why I set up Xiaomi in the first place," CEO Lei Jun added. The Mi Drone carries a ball-shaped 4K camera beneath it, that quadcopter-buffs might think looks similar to the built-in shooters found on Yuneec's Typhoon series. To be specific, the camera uses a Sony 12.4-megapixel sensor that can capture video at up to 3,840 x 2,160 at 30 fps; and as you'd expect, it can take RAW photos. Its detachable gimbal does 3-axis stabilization which corrects itself 2,000 times per second, and this is assisted by an optical flow sensor positioned between the camera and the battery bay on the back. Indeed, the sample clip we saw during the livestream looked satisfactory (at one point, Lei said well over 2 million viewers tuned in), so hopefully it's just as good once the drone lands in consumers' homes. While the drone itself looks a bit too familiar, its controller comes with a cute appearance that somewhat assembles a bunny -- the company's mascot -- from afar. Lei claims it's nice to hold, and he also showed off the built-in smartphone clamp (it held his 6.44-inch Mi Max just fine), though using this will require flipping down the two antennas -- these can keep the Mi Drone under control over a distance of 2km, while still maintaining a 720p video stream. The controller also has a dial on the left for tilting the camera, and there's a shutter button on the other side. At the bottom side, there's a flap that hides a micro-USB port for recharging the controller. To make things easier for beginners, the controller has a dedicated button for take off and landing -- just do a short press and then a long press to do either. There's a switch for returning the drone home as well, though it'll also automatically do so when its removable battery -- which is good for up to 27 minutes -- is running low or when it loses contact with the controller. Like many other modern drones, the Mi Drone is able to fly itself to a point of interest, follow a planned route, and circle around a point of interest while filming it. There was also a rumor that the Mi Drone might have a "follow me" feature that worked with the company's super cheap Mi Band, but this turned out to be false. All of this sounds pretty awesome for a $460 drone (propeller guards included, no less), but Xiaomi appears to be in no hurry, as its first-ever drone will only be entering an open beta towards the end of July. That said, there will also be a slightly cheaper 1080p 60 fps version that's launching on Xiaomi's very own crowdfunding platform tomorrow for 2,499 yuan (which is about $380), with another trade-off being its range is limited to just 1km, but that shouldn't be a problem for casual users. 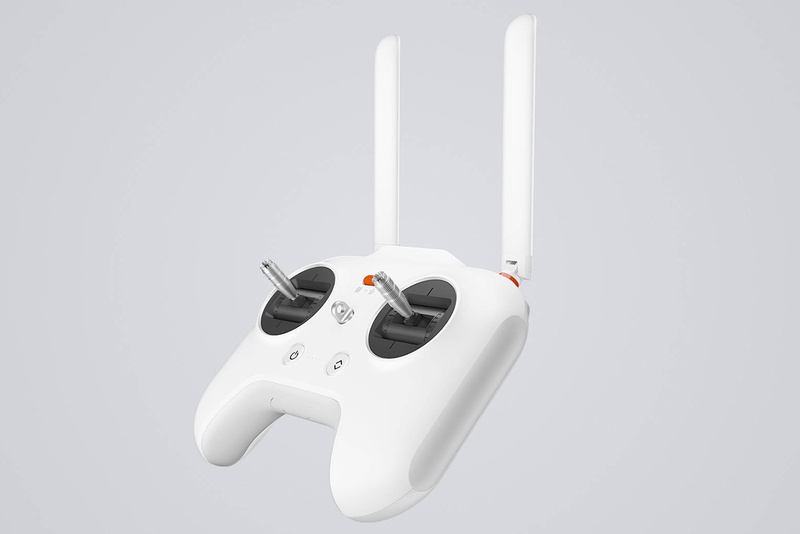 Oh, and there's going to be a 99 yuan (about $15) backpack designed to fit this drone, too. If the Mi Drone ever manages to leave China, we'll let y'all know right away. As we've previously reported, Xiaomi is quickly expanding its ecosystem of connected devices, including a rice cooker, a kids smartwatch, a self-balancing electric scooter, an air purifier and a water purifier. There's obviously more to come, as Lei briefly mentioned that his company's research lab is already working on robots, and he also teased Xiaomi's first VR product due in August or September. Will these be able to compete against the big names out there? Only time will tell. Additional reporting by James Trew.